AddressThe address for this sale in Aventura, FL 33180 will no longer be shown since it has already ended. 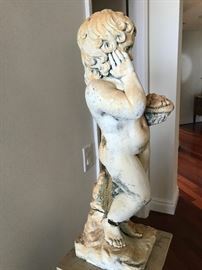 This sale in Aventura, FL 33180 is a "By Appointment" sale. Please see sale info below for details. Cash And All major Credit Cards accepted. All items are sold as is, where is. 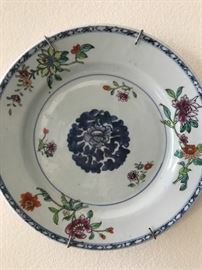 One of six Chinese plates, unmarked. 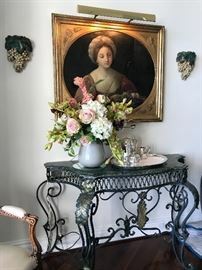 Delicate, ca 19th c.
One of a pair of wrought iron and marble console tables, with 1910 Germany tea service and tray; 17th c. Bolognese school oil on canvas, Giovanni Andrea Sirani. 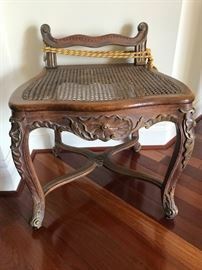 Children's chair, carved wood and silk. 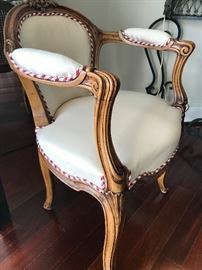 Closeup, cabriole leg of 18th c. French carved wood chairs, set of 8 plus two half chairs. 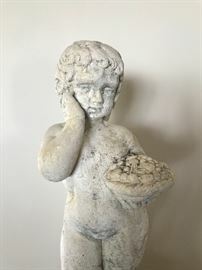 Second of a pair of concrete/cast limestone garden cherub/Putti. 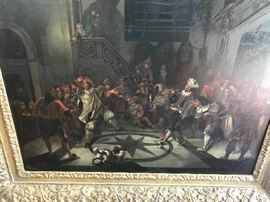 Jan Jozef Horemans, Flemish school 17th c. oil on canvas, Night Carnival Scene. Provenance: Salomon Lilian. One of five mezzotint engraved plates from Johann Wilhelm Weinmann's Phytanthoza Iconographia, Ratisbon (Regisburg): 1737-45. Printed in color, finished in hand at time of publication. The first important botanical work to use the newest mezzotint process, allowing for color engraved plates with fine details in shade and hue. 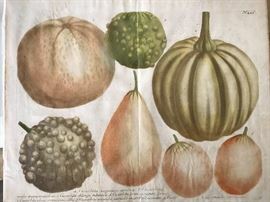 Illustrated by Ehret, Seuter, Ridinger and Haid, botanical descriptions by Dieterichs and Bieler. 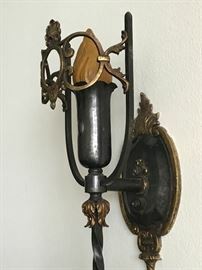 Rubbed bronze sconces. 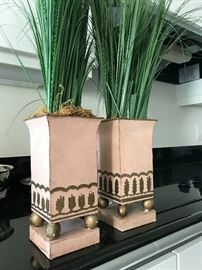 Nouveau aesthetic. Louis XV rosewood and inlay console chest with marble top. Original keys, two drawers and two doors, cabriole legs. 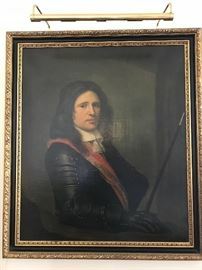 ca 1750. Meissen plates, in white heavy relief with gilt, as pair. Louis XV Style Desk. 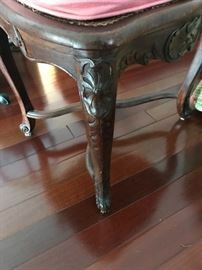 Gilt ormalu and figural crested cabriole legs - outstanding power desk! Mirrored and foliate motif endtables, pair with ostrich eggs in nest. Fossil veneer 'zebra' designer table. Wood vitrine/curio, side entrance, slate grey with rope and twist motif. Flora Danica dinner plate, Royal Copenhagen with Michelangelo pattern by Baccarat, full suite of cordial, liquor, wine and water glasses. Suite of ten (10) black/white original photographs, framed, winter scene, Switzerland.